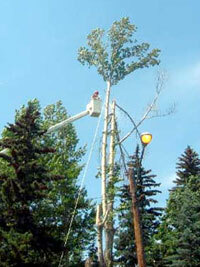 Featured on this page are pictures of our 75 foot aerial truck in action, pictured here felling a tree in the Mount Royal area. 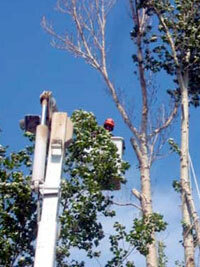 Our truck has the longest reach in Alberta, and you can see Jeff in the bucket securing rope to the tree to ensure the tree is felled within the limited drop zone area below. 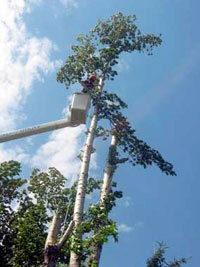 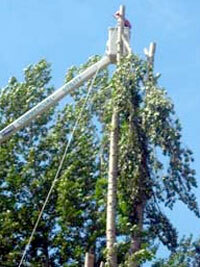 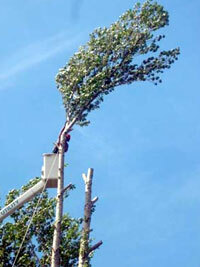 If you’ve got a hard-to-reach job and need a tree service you can count on, contact us today.